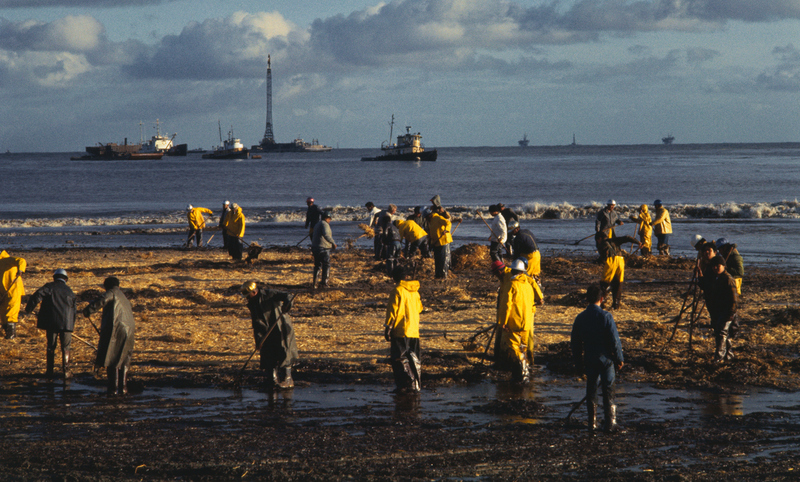 50th Anniversary Of Santa Barbara Oil Spill: An Environmental Turning Point In 1969, oil from an offshore well left beaches in Santa Barbara, Calif., coated with crude and littered with dead birds. 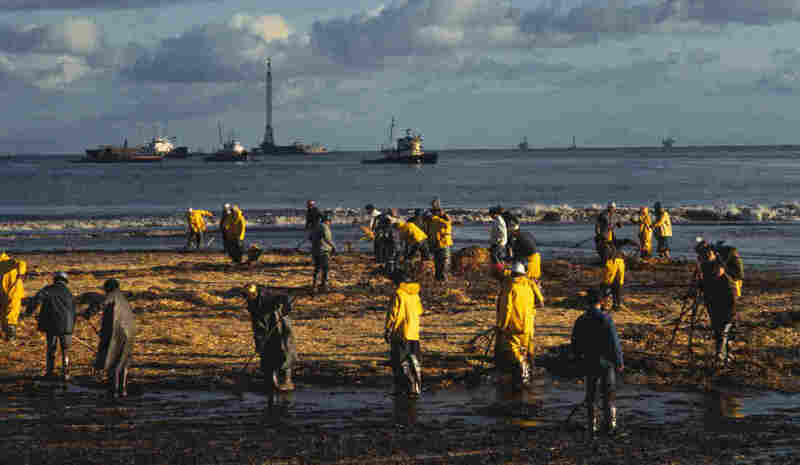 The country's reaction helped create the modern environmental movement. 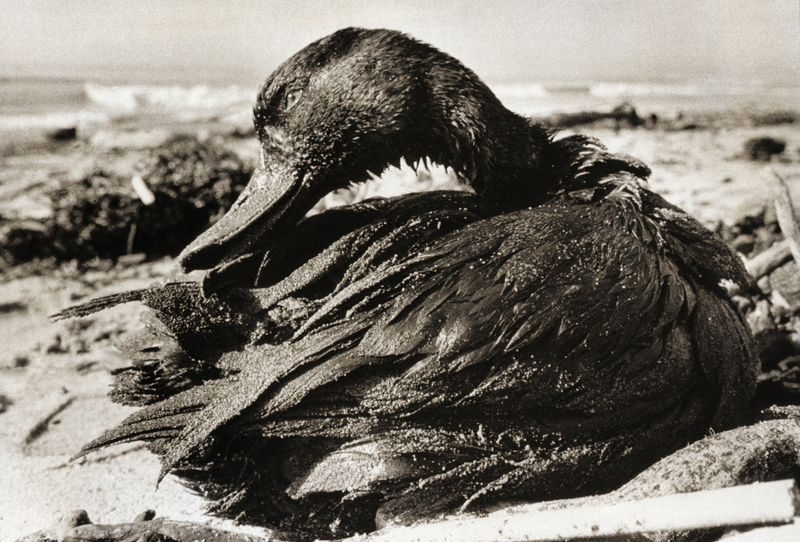 A duck covered in a thick coating of crude oil, picked up when it lighted on waters off Carpinteria State Beach in Santa Barbara County, Calif., after the oil spill in January 1969. 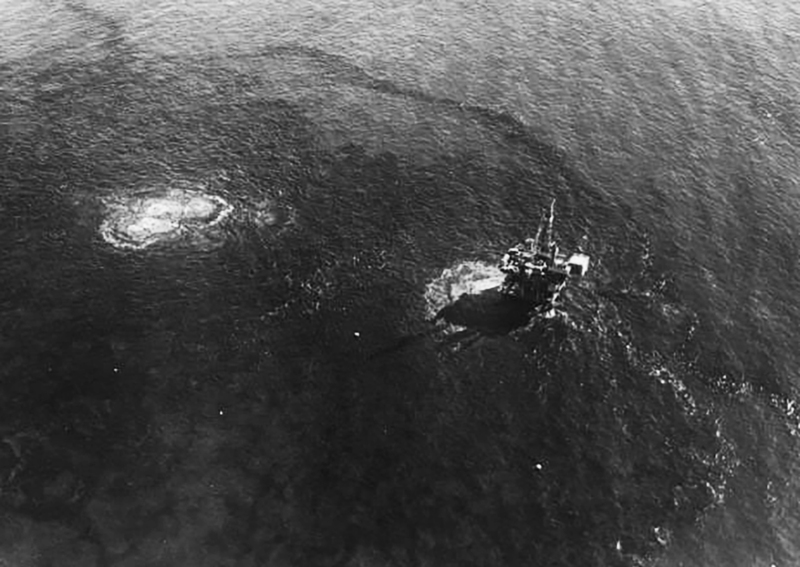 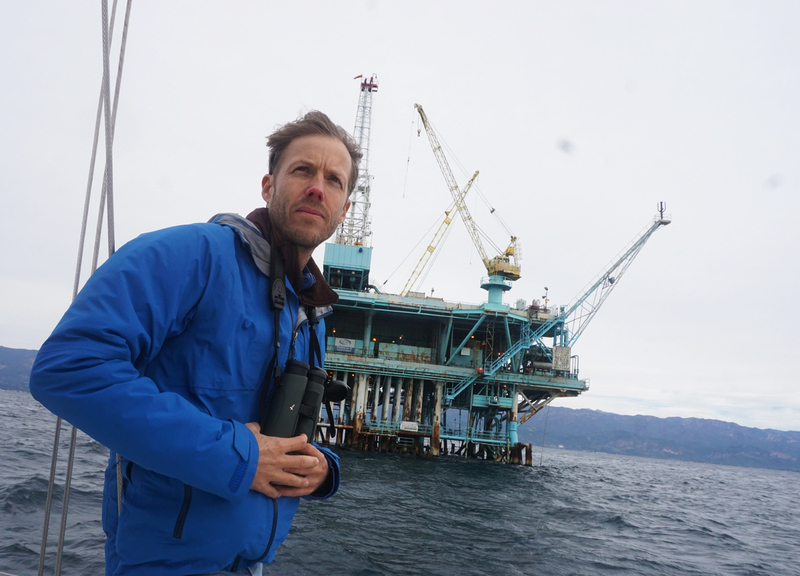 "They had capped off the blowout successfully," says Douglas McCauley, a marine biologist at the University of California, Santa Barbara. 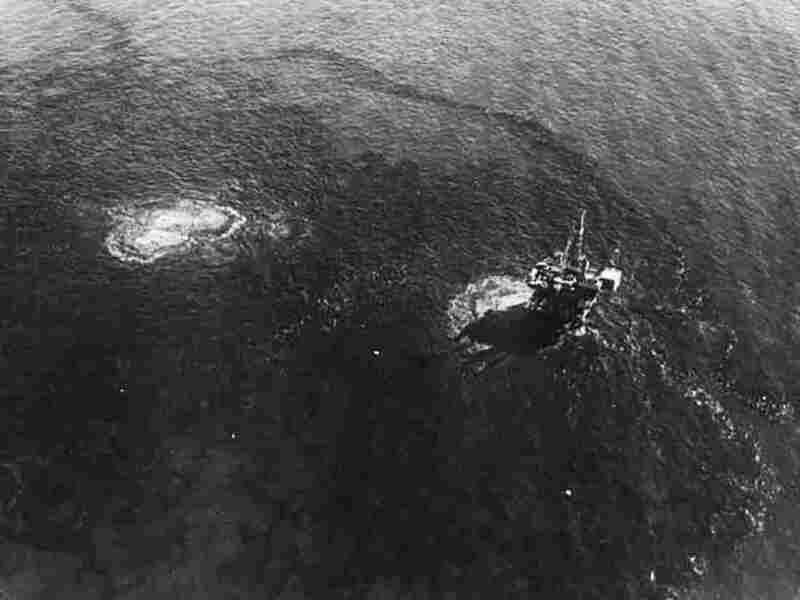 "But they created so much pressure at the bottom of this well that it actually broke open the seabed." 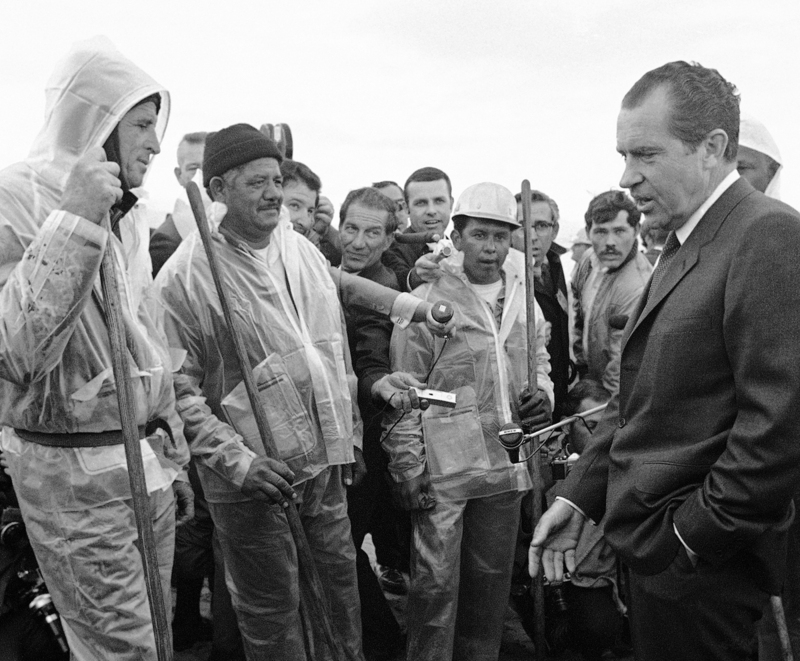 President Richard Nixon talked with workers cleaning up the oily beach at Santa Barbara in March 1969.